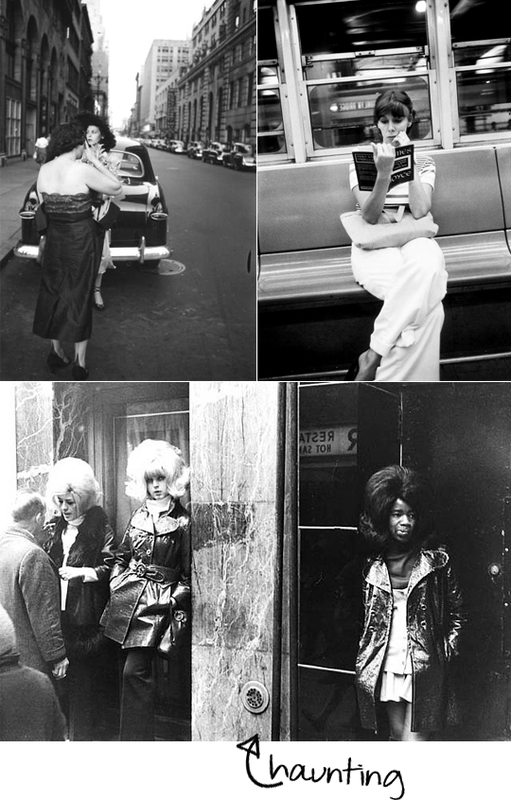 We're all familiar with The Satoralist, Scott Schuman's ingenious (and quite famous) blog featuring gorgeous candid photographs of street style and interesting people who catch his eye. 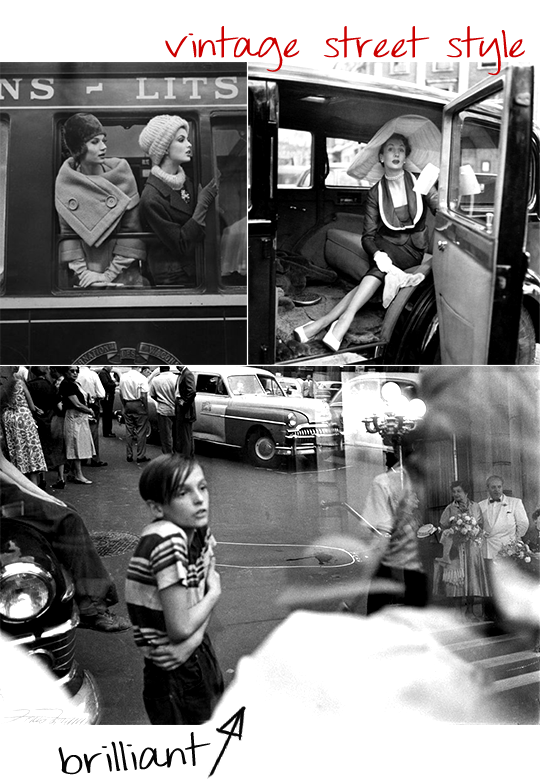 You might not be familiar, however, with Louis Faurer - an equally amazing master of candid fashion and street photography, who captured the style and energy of the streets of New York and Philadelphia (and beyond) in the 1940s through 1970s. The images above are some of my favorites of the late Faurer's work. If I had a time machine, I'd go back to that era and shadow him for a while. His work spans everything from the stunningly beautiful to the achingly gritty. So inspiring. It's Friday! See you tomorrow for Saturday Morning Daydreams! Wow, these are amazing. I've never heard of Faurer, thanks for sharing these! Awesome photos; I love the grittiness. Great photos! People used to wear such wonderful hats; I wonder why we stopped doing that. I love looking at old photos too and have a couple of posts on vintage photographers in the works. Happy Friday!! These are stunning. I want to look into this photographer more now!